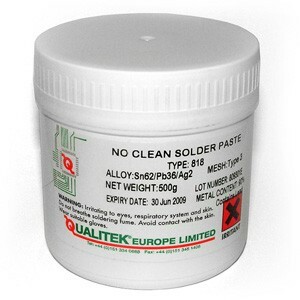 Qualitek 775-2 is a halogen free, slump resistant, water-soluble solder paste designed for surface mount and other electronic assembly applications. 775-2 utilizes a low volatility solvent system, resulting in a tack time over 12 hours. Post soldering residue can be easily removed with warm DI water.